How do you like yours? Not your creme egg, but the real protein-packed variety…dippy? Boiled like a rock? 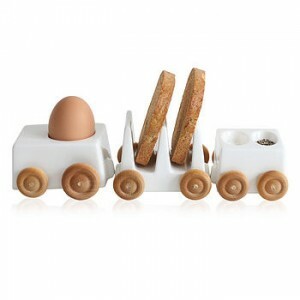 With a pleasant little squidge when the golden butter-lashed finger of toast brushes the yolk? Maybe I’m being a bit over-the-top expelling the virtues of this humble breakfast, but it’s definitely high up on my list of all-time breakfast treats. The brunch-based marvel that we refer to as Egg and Soldiers is all too often something that we only get time to indulge in on an odd weekend brunch. Well, you can keep your hollandaise sauce, the only thing we need to fancy up the humble egg is a dashing little egg cup! This post was partly (well, mostly) inspired by the adorable little white and blue egg cup in Huma’s post on her blog HerLittlePlace. 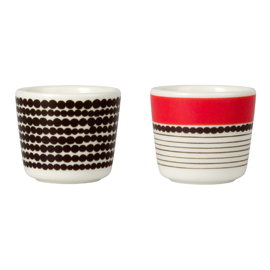 Below is a round-up of 6 of our favourite modern egg cups that’d be perfect for accessorising a treat of a breakfast.